Just before the beginning of 2009, in the spirit of annual tradition, I posted my five global supply chain predictions for 2009. Here is the web link to Post One, and Post Two. While I certainly don’t claim to be a sage, this has been my attempt to assist our community in preparing business process and information technology capabilities that will be needed in the forthcoming year. In this first post, I will reflect upon the first three predictions. The basis of this prediction was the massive effects of the global recession in late 2008, which resulted in fairly swift and dramatic reductions in global inventory and production capacity towards the final weeks of 2008, and my belief that this would continue well into 2009. While the overall global situation continues to remain fairly constrained, the first signs of a bottoming and potential upswing are beginning to show in select global regions. The latest U.S. Department of Commerce statistics for May 2009 indicate that manufacturing shipments were down 17.8 percent from a year earlier, while inventories were down 8 percent from a year ago. The key inventory-to-sales ratio was pegged at 1.42 in May, slightly better in the past three months, but remains considerably spiked from levels of one-year ago. In the lowest echelons of industry supply chains, where we look for the first indicators of supply movement, the demand and production activity is up ever so slightly. According to the American Chemistry Council, chemical industry output within the U.S., which slipped 4.7% in 2008, is now expected to fall 8.1% in 2009, before a minimal increase of 1.6% in 2010. The industry has experienced its worst decline since the 1980’s, reflecting a massive de-stocking trend. Q2 output in the semiconductor industry rose to double digit levels, after the worst two quarters ever experienced. While the second half of the year looks stronger, industry caution remains as to whether output will sustain itself. As predicted, industries such as automotive, heavy discrete, and consumer durables continue to experience the threat of continuing supplier failures and governmental bodies have made stimulus efforts to try and save key industries. The most successful to date has been China and Germany. With all of these data points, I believe that the prediction of radically reduced flexibility will continue into the second-half. The same advice also hold true. 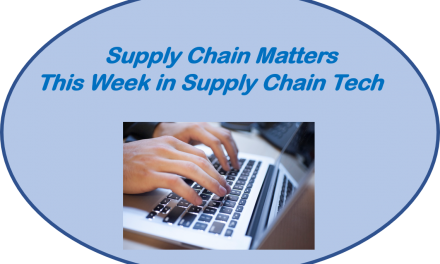 Global-wide supply chain visibility to quickly sense any changes in supply or demand patterns will remain critical. Structural supply chain shifts continue to occur on all fronts. On the demand side, depressed retail sales and a generally cautious consumer has indeed led to retailer failures and cutbacks during the first half of 2009. Retailers such as Boscov’s, Circuit City, KB Stores, Linen N’Things, Sharper Image and Wickes all succumbed. In the automotive industry, the bankruptcies of both Chrysler and General Motors led to consolidation and large cutbacks in the overall number of retail dealers. Industry watchers expect this trend to continue if U.S. consumers continue with fugal spending patterns through the remainder of this year. On the supply side, structural change is well underway across certain industries. There have been lots of headlines regarding the structural shifts underway in the distressed automotive sector, as certain global or regional OEM’s such as Fiat (Italy), Geeley, (China), BAIC (China) began to make strategic moves toward acquisition. Existing suppliers to the U.S. automotive industry remain in a financially fragile situation, with the potential of more bankruptcies to follow. We have also commented on efforts by certain automotive suppliers to diversify into supply for other industries. In alternative energy vehicles, the race is on to establish high-volume, lower-cost rechargeable battery production, insuring the next-wave of industry dominance. In consumer electronics, Japan based OEM’s such as Panasonic and Hitachi are re-structuring value-chain networks away from Japan in favor of the higher growth development regions. Taiwan based Acer Computer is challenging the likes of Dell and HP by leveraging its low-cost value-chain structure and faster reaction to evolving market opportunities. I believe that structural changes will continue well into the second-half and my advice for supply chain organizations in maintaining agility, increasing supplier collaboration and monitoring, as well as all around preparedness continues. When I pondered this predication over six months ago, I was really hoping that I may have been a bit too aggressive in my commentary. So far in 2009, this prediction has played out more than any of us really expected or wanted. Incidents have been non-stop as well as far reaching, involving more than just the risk of supplier failures mentioned earlier. In the food industry, the year exploded with the reported U.S. outbreak of salmonella in peanut products that subsequently impacted over 1800 other food product supply chains. That was followed by suspected contamination of pistachios, and the latest suspected E.coli contamination involving cookie dough. There continues to be ongoing ocean piracy originating from Somalia, involving millions of dollars of expense and disruption to shipping. The H1N1 flu outbreak began in Mexico and has spread to involve a global pandemic. Although resulting death rates have been fortunately low thus far, there remains a threat of an even more severe strain that could ultimately severely disrupt global commerce. Supply chain risk and disruption is occurring on all fronts, and I again urge organizations to have a response and mitigation plan developed that spans multiple functions, not just procurement. In my part two posting, I will comment on the remaining two predictions. How do you view each of these projections thus far in 2009? Is your organization effectively dealing with each of these trends?